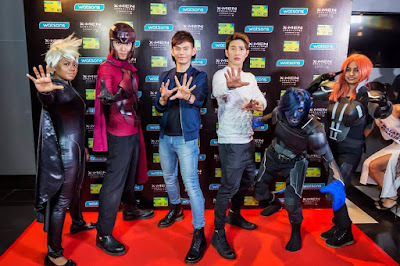 Asia’s leading beauty and health retailer treated its VIP members, business partners, celebrity friends, media and the blogging community to a glittering red carpet gala event for the movie screening of X-Men The Apocalypse at GSC Pavilion on 19th May 2016. 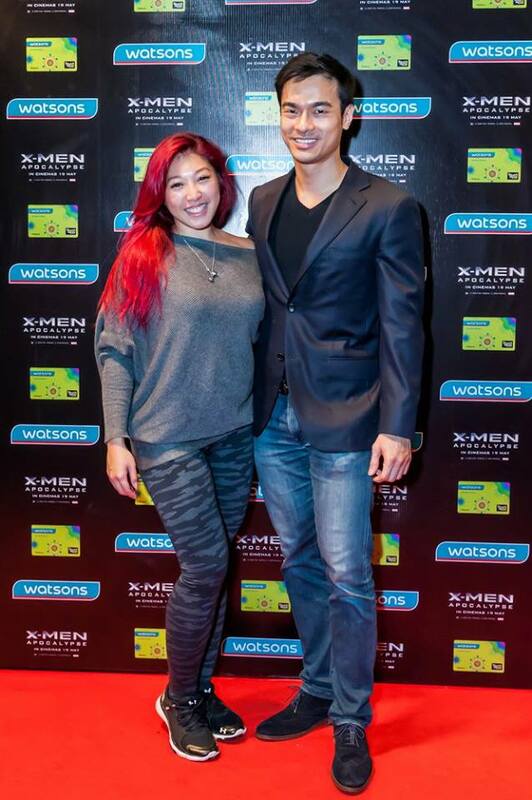 Singer and songwriters, Fuying & Sam at the Watsons X-Perience Zone Red Carpet before the screening of X-Men The Apocalypse. 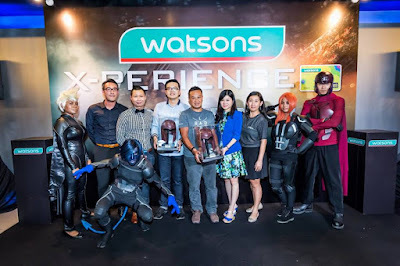 The special movie screening was held in conjunction with Watsons collaboration with Marvels latest offering to a movie night out, giving its VIP members the privilege to be one of the first few in the world to have watched the blockbuster action movie series. “We are delighted to treat our VIP members to this exclusive movie screening in a glittering affair. It is our utmost priority for our VIP members to enjoy their shopping experience like non other and at the same time receiving special treatments like this for a money can’t buy experience,” said Danny Hoh, Head of Marketing, Watsons Malaysia. From Left to Right – Linora Low, radio DJ and host and Kit Mah, celebrity model at the Watsons X-Perience Zone Red Carpet before the screening of X-Men The Apocalypse. At the special movie screening, VIP members who attended were given an extra surprise when they were given a chance to win a pair of air flight return ticket to Melbourne and Perth. A total of 12 lucky VIP members were selected to go through two rounds of challenges before the last two standing were announce as winners. 12 Watsons VIP Card Members in the first round challenge of Question and Answer, attempting to score as much to qualify to the final round. The first round saw VIP members testing their knowledge with question and answer round relating to Watsons and X-Men. The top 5 highest scores advanced to the final round where they pit against one another to win a pair of flight ticket to Australia’s vibrant cities courtesy from AirAsia X. The final round was tested by wearing an X-Men merchandise cap and using the tip of the cap to carry a Watsons brand toothbrush from a Watsons Treats Water bottle and placing the toothbrush into another bowl within the two minute time frame given. 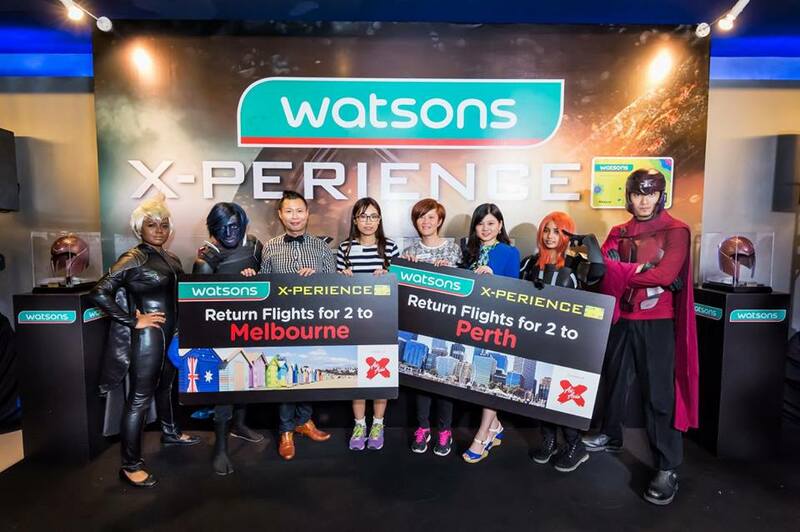 Caryn Loh, Chief Operating Officer, Watsons Malaysia (3rd from right) and Danny Hoh, Head of Marketing, Watsons Malaysia (3rf from left) with Watsons VIP Card members Carina Lim (4th from left) and Chan Lai San (4th from right) receiving their mock flight ticket to Melbourne and Perth courtesy of AirAsia X. Eventually, Carina Lim came out as top winner and winning herself a pair of return flight ticket to Melbourne while second place Chan Lai San receive a pair of return flight ticket to Perth. The top two winners were given a mock air flight ticket at the prize presentation presented by Caryn Loh, Chief Operating Officer, Watsons Malaysia and Danny. The top scorer in the final round was given the choice to choose the flight destination between Melbourne or Perth, and the second place receiving the alternate destination. 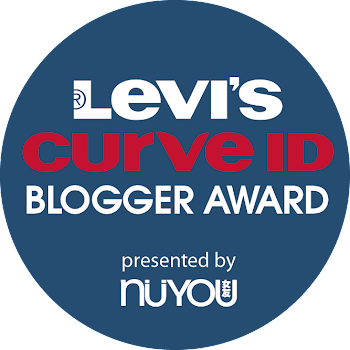 “At the store, we continuously provide our customers the best quality and innovative product. And at the same time we also ensure our VIP members are given extra surprises like this to reward back on their support and loyalty to Watsons,” added Danny. 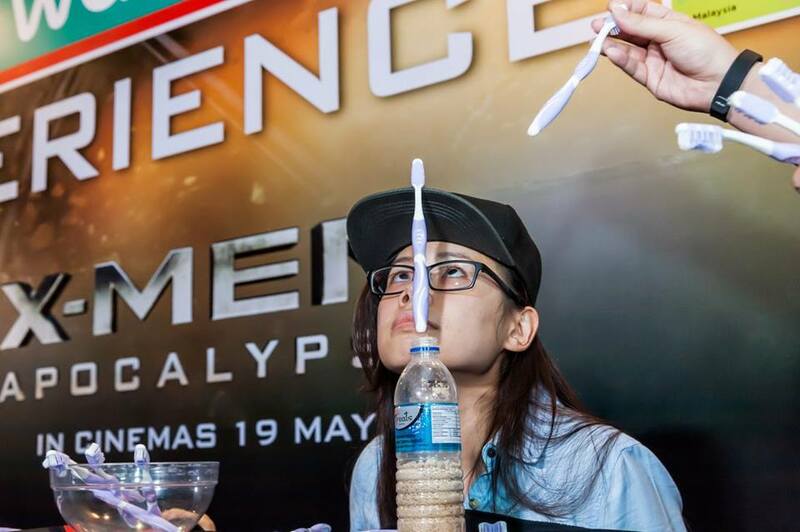 Guests and members of the media were also treated to another surprise when Caryn and Danny gave away two exclusive Magneto Helmet Replica X-Men merchandise in a lucky draw which was flown in for the special movie screening from London! The lucky draw and merchandise giveaway was witnessed by Jasper Lim, Director of Tohtonku Sdn Bhd and Moo Hon Mei, Marketing Director, 20th Century Fox Films Malaysia. The special movie screening presented by Watsons in partnership with Ubermen saw guests and members of the media receiving special hair makeover at Ubermen’s booth, following their favorite X-men characters. Also present at the special movie screening were Watsons Celebrity Friends including Ben Ibrahim, Dato Kee Hua Chee, Daphne Chua, Fuying & Sam, JC Chee, Justin Yap, Nadine Ann Thomas, Lee Yvonne, Linora Low and the finalists of Miss World Malaysia 2016.